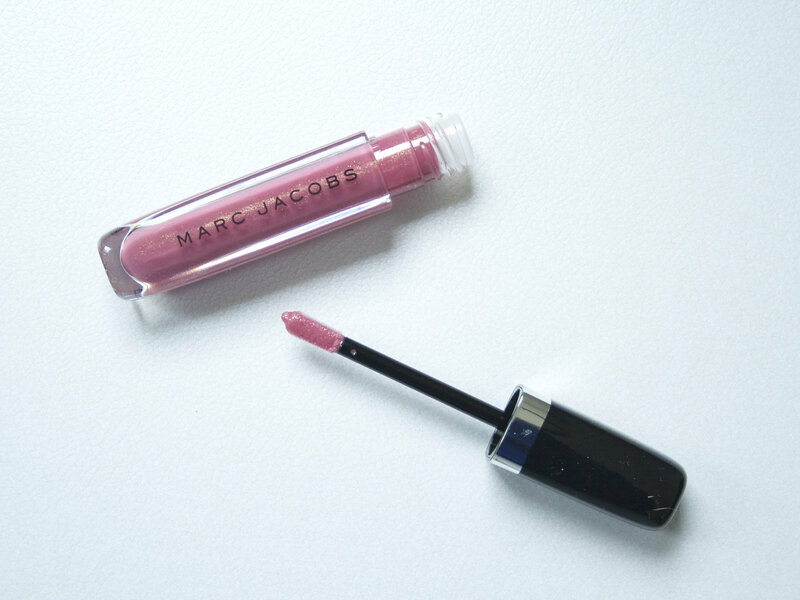 Allow Me to introduce you to the new Marc Jacobs lip glosses. The full name, the Enamored Hi-Shine Lip Lacquers, is quite a mouthful but it's also quite accurate as these glosses (or at least the shade I picked up, Allow Me....see what I did there?!) are indeed very high shine. The range offers 18 shades and, without swatching, I went for Allow Me, a rosy shimmer. These lipglosses are not sticky in the slightest (great if you hate sticky glosses; less ideal if you want a gloss that will stay on your lips all day). They are also scented of mint, but not the tingly/lip-plumping mint of the Buxom glosses, for example. The applicator is also slightly unique: it is a flattened doe foot applicator (this isn't the unique part) but it is almost floppy, rather than stiff. This means that it bends to fit your lip as you apply. I almost wish it were stiffer like a more traditional applicator, though, as the floppiness makes it more challenging to get a crisp line upon application. Wearing Allow Me on the lips, Colourpop Sequin on the lids. As I only have this one shade (so far) I am unable to describe how other shades apply. But I can say that Allow Me offers a sheer wash of color onto the lips. 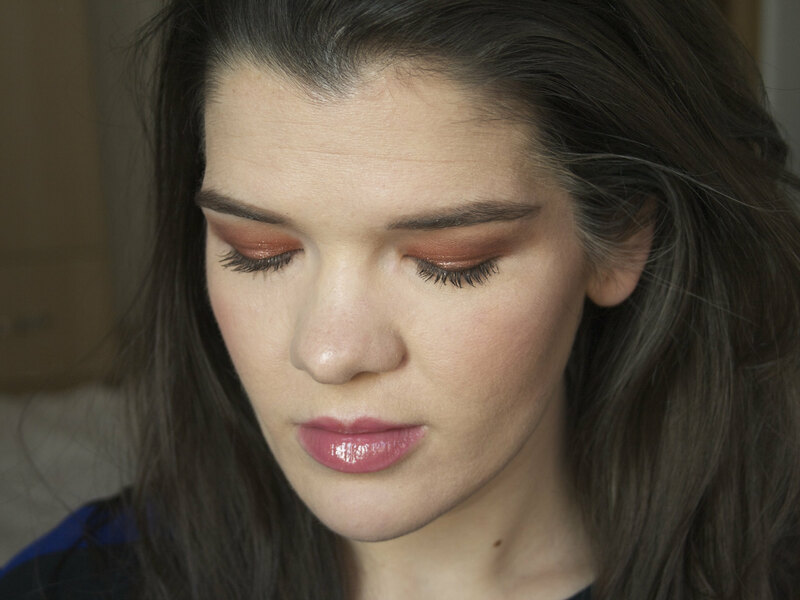 The shimmer in this rosy shade doesn't feel gritty on the lips and I find it to be a flattering and easy-to-wear color. If you like super shiny lipglosses that offer a bit of color to compliment your lipstick, these would be an excellent choice. But if you are looking for a gloss that packs a lot of pigmentation, you'll probably be disappointed by these! The Marc Jacobs Enamored Hi-Shine Lip Lacquers are available at Sephora and Marc Jacobs Beauty for $28. Have you tried these yet? Any shades that you love? I've got my eye on Rebel Rebel and Taboo to pick up next! If you want to stay updated with my latests posts and general goings-on, head over to Bloglovin, Instagram, and Twitter to follow me! P.S. I just ordered a brand new DSLR to replace my current one, which is 8 years old and has been having lots of issues over the past year. I'm excited to be able to take better—and more color accurate—photos in the very near future!